How Much Debt Do I Need To File Bankruptcy? There’s no minimum amount of debt required. If you’re struggling with debt that is not affordable, then bankruptcy might a good option. People from all walks of life file bankruptcy. What might be affordable to one person, might not be affordable to another. It’s all relative. Of course, there are some scenarios in which a bankruptcy might not be worth it based on the amount of debt you have, and the costs involved. In those scenarios, debt defense or debt settlement might be a good strategy to deal with unaffordable debt. Every case is different. If you’re not sure what the best option is for you, please call us to schedule a free strategy session to develop your best plan of action. On of the most common misconceptions about bankruptcy is that you'll lose your all your stuff. One of our most frequently asked questions from homeowners is whether they'll lose their home. Thankfully, there's very little to worry about here. First, this is never an issue in a Chapter 13 bankruptcy. There is simply no involuntary loss of property in a Chapter 13 case. A Chapter 7 bankruptcy, on the other hand, is considered a liquidation of assets. However, the vast majority of cases are "no asset" cases in which no property is lost. This is because exemptions allow you to protect the equity in your assets. In Massachusetts, we have the option to choose from two completely different exemption schemes: the default federal exemptions or the Massachusetts state-specific exemptions. If you have equity in your home, this can be an important decision. Under the default federal exemption scheme, you can only protect up to $23,675 in equity in your home per person (this is doubled to $47,350 if you file bankruptcy jointly with your spouse). Massachusetts state law is much more generous. Under the Massachusetts scheme, you are entitled to an automatic homestead protection of up to $125,000. By recording a simple form at the registry of deeds, though, this exemption increases to $500,000. Elderly or disabled spouses can also stack together personal exemptions, so that a total of up to one million dollars is protected. Because of these generous exemptions, most homeowners that have significant equity in their home will choose to use the Massachusetts state-specific exemption scheme. However, there are some limitations that rarely come up, but should be noted for full disclosure. First, your exemption may be capped if the court finds that you obtained the equity as a result of some wrongful act taken within the last 10 years to hinder, delay, or defraud a creditor. Second, if you acquired your home within the last 1,215 days, then the exemption is currently capped at $160,375. (This amount regularly adjusts to account for changes in costs of living). Third, your exemption will also be capped at this same amount if you've been convicted of certain crimes, owe debt resulting from criminal acts, intentional torts, misconduct, fraud, and/or certain other bad acts. There is also an exception to this exception, so be sure to review this with your attorney if you think this might apply to you, as this area of the law can be quite complicated. Assuming you haven't committed one of these bad acts, you may claim the full homestead exemption to ensure that the nobody can take your home from you. To review your particular circumstances, contact Brine Consumer Law today for a free consultation. Chapter 7 and Chapter 13 are the two main types of bankruptcy that people file for. Both allow you to obtain a discharge of debts in different ways. Chapter 7 is considered a liquidation of assets. However, no property is lost in the vast majority of cases. As a result, most Chapter 7 cases provide a discharge of debt in about 100 days from start to finish. A Chapter 13 is a repayment plan over a term of several years. There are a number of factors that go into determining how much your monthly payment will be, but the payment should be affordable based on your budget. Remaining debts are discharged at the end of your payment plan. Eligibility for a Chapter 7 is determined based on household income. If you don't qualify, you may have to file a Chapter 13 instead. There is also similar test under Chapter 13, which is used to determine the required term of your payment plan, as well as any minimum required payment. Please note that the treatment of some debts vary between the two chapters. For example, some divorce settlement obligations can only be discharged in a Chapter 13. Therefore, be sure to review your goals with an experienced attorney before filing. Attorney Brine has a video explanation of the differences between Chapter 7 and Chapter 13 available here. I Just Got A Collection Letter - What Do I Do? Notice that if you don’t dispute the debt in 30 days, it will be assumed valid by the debt collector. Notice of your right to request validation of the debt. First, it requires the debt collector to provide proof that the debt is actually yours. This includes proof of the debt itself, and proof of assignment if the account is now owned by someone else. Even if the original account was yours, that doesn't automatically mean that the new company is entitled to collect it. Often, debt collectors will provide documentation that you might not otherwise have, which can be helpful in determining your options and/or defending a lawsuit (if necessary). Second, and perhaps more importantly, the debt collector is prohibited from taking any further collection actions against you until it provides validation of the debt. There is no ‘due date’ for a response, so this prohibition applies forever until the debt is validated. Because of this, it is important to always dispute the debt and request validation, if appropriate. A validation request must be in writing and sent within 30 days after you receive the debt collector's original letter. A sample template is included with Brine Consumer Law's free downloadable report Stop Drowning in Debt - FAQs About Massachusetts Consumer Debt Collections & Bankruptcy. Finally, even if you don't dispute the debt (or didn't timely request validation) it is important to pay attention to everything debt collectors do. Keep every letter you get, and every voicemail you receive. For every phone call you get, write down who you spoke with and what they said as soon as possible. A sample call log template is also included with Brine Consumer Law's free downloadable report Stop Drowning in Debt - FAQs About Massachusetts Consumer Debt Collections & Bankruptcy. There are significant restrictions on what collectors and legally do and say. By keeping thorough notes, you may uncover debt collection violations that could be helpful. If you're being harassed by debt collectors, contact Brine Consumer Law today to see how we may be able to help. Who Will Know If I File Bankruptcy? 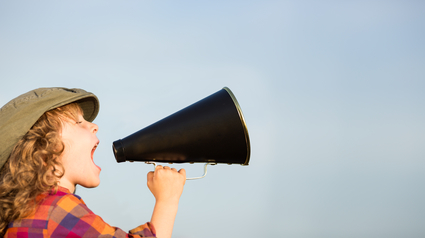 The fear of unwanted publicity in bankruptcy is common. This is usually the result of a difference in perception vs. reality. While bankruptcy cases are publicly available, the only people that usually know of them are you, your creditors, court personnel, and anyone else directly involved in the case (attorneys, the trustee, etc.). People often fear that their friends and/or co-workers will find out. But thousands of people file for bankruptcy every year in Massachusetts. You almost certainly know someone that’s filed - friends, family, neighbors, co-workers, etc. How many times have you looked these people up to see if they’ve filed? Probably never. And they probably won't look you up either. Yes, celebrity bankruptcy filings are often reported on the news. But unless you’re famous, your case probably isn’t going to be that interesting. What are the warning signs of illegal debt collection harassment? When you get behind in paying your debts, the credit card company, doctor, bank, or other creditor you owe could hire a collection agency to attempt to collect your debt. While many collection agencies are professional when collecting a debt, others are not even legitimate debt collectors. Some engage in illegal and abusive debt collection practices. Just because you owe a debt does not mean that you have to take this harassment. You may have rights that you can enforce under the Massachusetts Consumer Debt Collection Act, and the federal Fair Debt Collection Practices Act to stop these practices, and you may be entitled to compensation for your injuries under these laws. 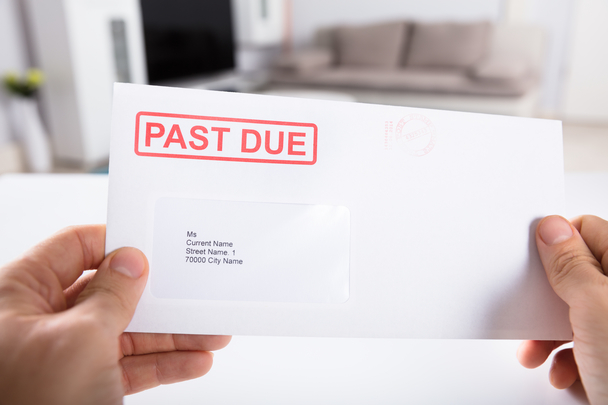 What Are the Warning Signs of Debt Collection Harassment? You need to know the warning signs of debt collection harassment so that you can identify “debt collectors” who prey on people like you and attempt to take their money. In addition, you should be on watch for debt collectors who threaten action they cannot legally take in an effort to frighten you into paying a debt. You may not even owe the debt that the debt collector is attempting to get you to pay. Harassment. It is considered illegal harassment for a debt collector to use profane language or threats of violence, or to publish your name in a list of debtors. In addition, repeatedly calling you about a debt—sometimes multiple times in a day—or before 8:00 AM or after 9:00 PM is prohibited. Making false statements. Some debt collectors will lie in an attempt to get you to pay a debt. They may falsely claim to be an attorney or governmental official or make false statements regarding what could happen to you if you do not pay them. A common untrue statement is threatening to have you arrested for not paying the debt. Issuing improper threats of legal action. It is improper for a debt collector to threaten legal actions, such as the filing of a lawsuit, which he does not intend to take. It is also a violation of the law to threaten to garnish wages, seize property, or confiscate an income tax refund when the debt collection agency has no judgment against you. Using deceptive documents. Some debt collection agencies could send you fake documents that appear to be coming from a company, court, or governmental agency to convince you that you owe a debt or that a judgment has been entered against you. Using fraudulent documents in this way is illegal. Collection of what is not owed. In some cases, a debt collection agency will attempt to collect a debt they cannot prove you owe. You may not in fact owe the debt. It is also illegal to charge interest and other fees that cannot be charged under your contract with the creditor that you owe the debt to. Badgering friends and family. It is abusive for a debt collectors to contact family members, neighbors, and friends to discuss your debt with them. Communications after attorney representation. Once a collection agency has been notified that you are represented by an attorney, the debt collector should not contact you personally. All communications should be made through your attorney, and it is a violation of the law to continue to call you or send you emails or letters. If you are the victim of abusive debt collection practices, you have a right to stop these illegal practices and assert your right to compensation for these violations of your important consumer rights. Brine Consumer Law is committed to helping you stop debt collectors from harassing you and pursuing your claims for compensation. Many of these cases can be taken at no cost to you because the debt collector will be responsible for paying your attorney fees under debt collection practices laws. To learn more about your rights to stop abusive collection actions, call our office to schedule your free consultation. How can I afford to hire a debt settlement attorney to help resolve my outstanding debt? When you are behind in your payments on your credit cards and other debts, it can seem impossible to see how to bring your accounts current. On top of that, you most likely have the stress of having creditors and collection agencies hound you by sending you frequent threatening letters or emails and calling you—sometimes multiple times in a day. You may know hiring a debt settlement attorney could help you develop a plan to get out of debt, but may not see a way to pay him. However, you may find that hiring an experienced debt settlement attorney is more manageable than you think. How Do Debt Settlement Attorneys Charge Their Attorney Fees? A flat fee that is based on the number of creditors that you have. Percentage of your debt to be negotiated. Percentage of your savings in your settlements. Stopping abusive, threatening calls and other collection practices by debt collectors and creditors. Evaluating your financial situation to determine whether you can pay your debts or need to file for bankruptcy. Negotiating payment of your debts—sometimes for significantly less than you owe. Asserting your legal rights to compensation for illegal debt collection practices. Defending you in court if you are sued and raising defenses that could result in the dismissal of the lawsuit or reduction in what you owe. Keep in mind that a debt settlement attorney will understand the challenges you face in paying his fees when you are struggling to pay the debt you already owe. He will work to develop a payment plan that meets your needs and resources. Brine Consumer Law handles many debt defense cases on a low-cost flat fee that many of our clients have found affordable. Many debt settlement attorneys offer a free initial consultation. You should take advantage of this opportunity to meet with your top potential attorneys to discuss how they think they can help you, the fees that they will charge, and how they expect you to pay them. You may be able to work out a monthly payment plan to pay the attorney fees you owe. Some attorneys will agree to this or delay payment until they work out the settlement of your accounts for you. You may be able to pay the attorney fees from your savings in payments to creditors if your attorney is able to negotiate a settlement for significantly less than what you owe, reduces your interest rate, and reduces or eliminates late fees and other charges. Given the long-term financial and legal benefits you will obtain, it will be worth the effort to figure out how to hire an experienced attorney who can help you to work with your creditors. At Brine Consumer Law, unlike other attorneys, we will look at all of your options to help you pick the one that is right for you. Do you need help reducing your debt or stopping threatening collection actions by your creditors? Christopher Brine is committed to advising you all of your options and often offers a low-cost flat fee agreement. Call Brine Consumer Law today to schedule your free consultation to learn how we can assist you. What happens if I default on my student loan? If you are like many people, you received thousands of dollars in student loans while you were in college. The monthly payments can sometimes be as high as a person’s rent or mortgage payment. It can be very challenging to pay every month, especially if you are also facing other financial hardships. However, defaulting on a student loan—especially a federal student loan—can result in your facing serious financial consequences. 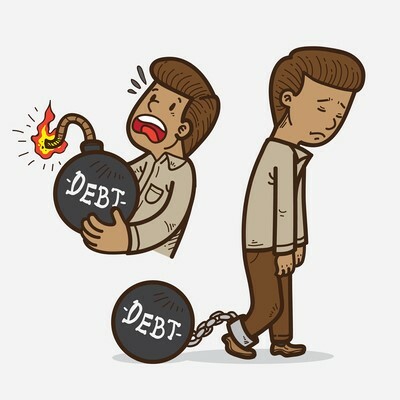 You may become delinquent in your student loan payments for a number of reasons, such as unemployment, low pay, lack of raises, and other financial obligations. You are delinquent when you miss one payment, and this is different than being in default. Once you start paying a student loan late, it is often hard to bring the loan current. 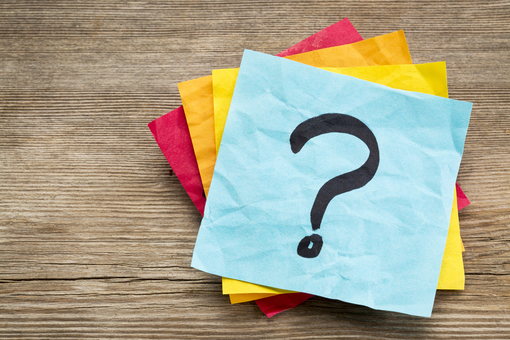 When a loan is considered in default will be determined by the type of loan you have and the terms of the loan agreement. Some federal student loans are generally not considered in default until the debtor has missed nine payments. However, a private student loan and some federal loans can be considered in default after you miss just one payment. Accelerating the loan. Once you are in default of your student loan, the lender can accelerate the loan, which means the entire amount of the loan is now due. You could also owe additional amounts due to interest, late fees, and other expenses being added to the loan balance. Reporting to major credit reporting agencies. When your student loan is approximately 90 days past due, the lender will report your delinquency to the three major credit reporting agencies—Equifax, Experian, and TransUnion. The credit reporting agencies will report your delinquency on your credit report, which may limit your ability to obtain any credit and result in higher interest rates from lenders. Sending your account to a collection agency. If the lender cannot get you to bring your loan current, it could refer your loan to a collection agency to attempt to collect the debt. Unfortunately, a collection agency may engage in threatening and abusive practices when attempting to collect a student loan. Garnishing your wages. If you default on a federal student loan, your wages can be garnished without a court order. The government or guaranty agency can garnish up to 15 percent of your disposable income. Taking your income tax refund and federal benefits. If you are in default of a federal student loan, your federal income tax refund and up to 15 percent of your Social Security retirement and disability benefits can be taken without a court order to apply to your loan. Suing you. Both the federal government and private lenders could sue you to obtain a judgment against you if you default in your student loan payments. Unlike other debts, there is no statute of limitations for suing you for student loans. Unfortunately, you cannot discharge a student loan in bankruptcy. However, if you are in default of your student loan, you still have options to avoid the harsh consequences you could face. Let Brine Consumer Law help you explore all your options and help you to negotiate a payment plan, enter into an income-based repayment program or other federal program, or consolidate your loans with the federal government or your lender. To discuss your situation and legal options, call our office to schedule a free consultation. What is Midland Funding LLC? Credit card companies will often sell defaulted debt to another company who will then try to collect it at a profit. These companies are referred to as “debt buyers” and are considered debt collectors under state and federal collection laws. In Worcester and Middlesex counties, Midland Funding LLC is one of the most active debt buyers. In 2015, Midland filed over 1,300 lawsuits in Worcester District Court alone. The Consumer Financial Protection Bureau recently took action against Midland (and its parent and affiliated companies) for violations of consumer protection laws. Among other things, it found that they often filed lawsuits without knowing if they could substantiate the debt in court. They have also filed numerous cases where the debt was past the applicable statute of limitations. Most disturbingly, the CFPB found that they have obtained tens of thousands of judgments and settlements from consumers based on misleading affidavits it provided. A complete copy of the Consent Order is available here. If you are served with notice of a lawsuit filed against you by Midland, you only have a short period of time to respond. If it was filed in district or superior court, you will only have 20 days to respond. If it was filed in small claims court, then your trial date should appear on the paperwork you received. If you don’t respond to the lawsuit, then Midland can obtain a judgment against you by default. It can then try to collect that judgment by placing a lien on your property, garnishing wages, attaching your bank account, or other methods. Attorney Brine has substantial experience in cases with Midland and other debt buyers. Phone consultations at Brine Consumer Law are free, so contact us today to discuss your case. The calculation of your income is based on the last six months, although expected changes may be factored in. Also, these numbers are based on gross income received before any taxes or payroll deductions are counted. If your income is less than the median amount, then you automatically qualify for a Chapter 7 and the rest of the means test form can be disregarded. If your income is above the median amount, then the second portion of the means test must be completed in order to determine whether you are eligible. The second portion of the means test is a comparison of monthly income and expenses. The idea is to determine whether you have sufficient disposable income each month, such that your case should be a payment plan under a Chapter 13. However, the form only allows you to deduct certain expenses. Also, while you can deduct the true cost of your expenses for many items, that is not the case for everything. For example, expenses for food, clothing, and transportation costs can only be deducted in presumed amounts based on your household size—regardless of what your true cost for these items are. Because of this, the means test can sometimes lead to frustrating results. It is therefore important to speak with an experienced bankruptcy attorney about your case. Attorney Brine has significant experience in all aspects of consumer Chapter 7 cases, including means test issues. Phone consultations are free, so contact Brine Consumer Law today to discuss your options.